Legally distinct from Castlevania, but we know the secret! Do you ache for the days of sidescrolling Castlevania games where you can get lost in a sea of flying medusa heads because you got lost on your way to find that one stupid piece of armor you wanted? Designer and former Castlevania producer Koji Igarashi does, too, which is why he kicked off a crowdfunding campaign for the frighteningly similar Bloodstained: Ritual of the Night. Bloodstained looks to follow the tone and layout of the best Castlevania games, namely Symphony of the Night. You play the role of Miriam, an orphan scarred by an alchemist curse which slowly crystallizes her skin. Battle your way through a demon-filled castle with your old friend Gebel, whose body has succumbed to the same curse and is now more crystal than flesh. The crowdfunding campaign is already well-funded, so much so that several stretch goals have been met and surpassed. One of those goals was adding local co-op to Bloodstained. No word on exactly how it will work, but since there are two playable characters, it's kind of easy to extrapolate. The next stretch goal is asynchronous online multiplayer, followed by a PS Vita port. 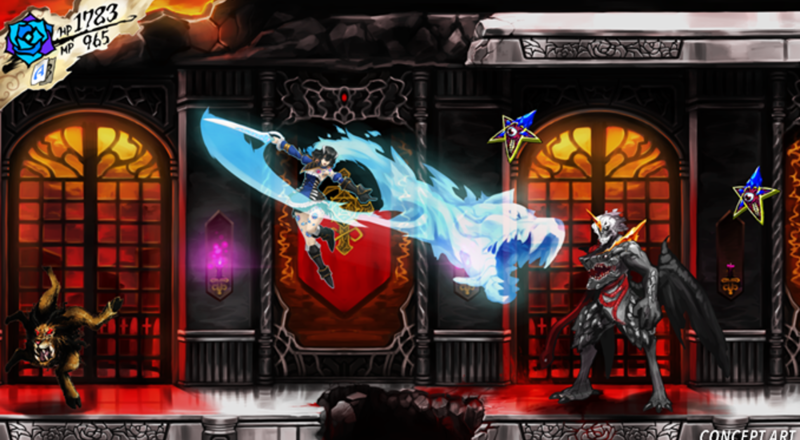 Bloodstained: Ritual of the Night is still in the early stages of development. The release is planned for spring 2017 on PC, Xbox One, PS4, and Wii U. Page created in 1.7906 seconds.